Bring fresh produce to where kids already are. A majority of children in the United States do not consume sufficient amounts of fruits and vegetables. These consumption rates are significantly lower among minority populations who live in underserved areas known as food deserts: places without access to fresh produce. So we bring good food to where kids already are: preschools, elementary schools, and summer camps. 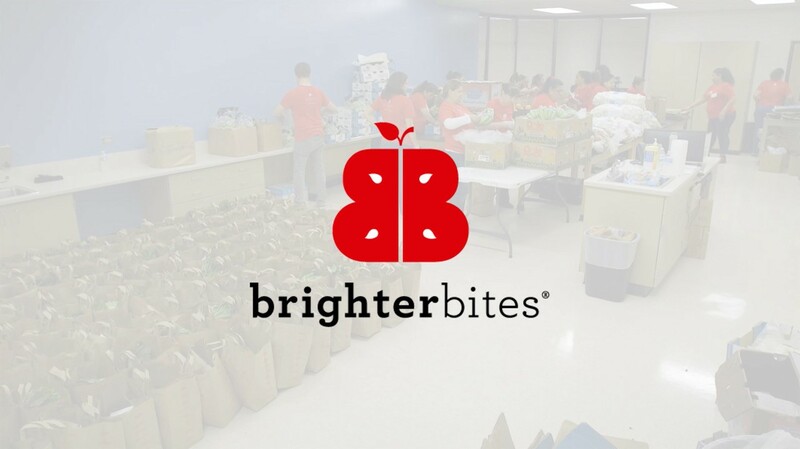 Every week, Brighter Bites heads to these sites and distributes fresh, seasonal produce for families and teacher to pick up and take home. Two bags contain approximately 50 servings of fruits and vegetables, weighing 20-25 pounds. Teach kids and families healthy ways to use their food. At school and during distributions, we teach kids, parents, and teachers how to make the most of their produce. We encourage teachers to utilize their bags during in-class lessons, and we provide nutrition education handbooks, plus weekly tip sheets and recipes, for everyone to use at home. We train and support schools in their implementation of CATCH and other evidence-based programs that promote healthy food choices and physical activity. We are one of the few nonprofits that simultaneously targets increasing food access and food literacy. Create a fun food experience for everyone involved. 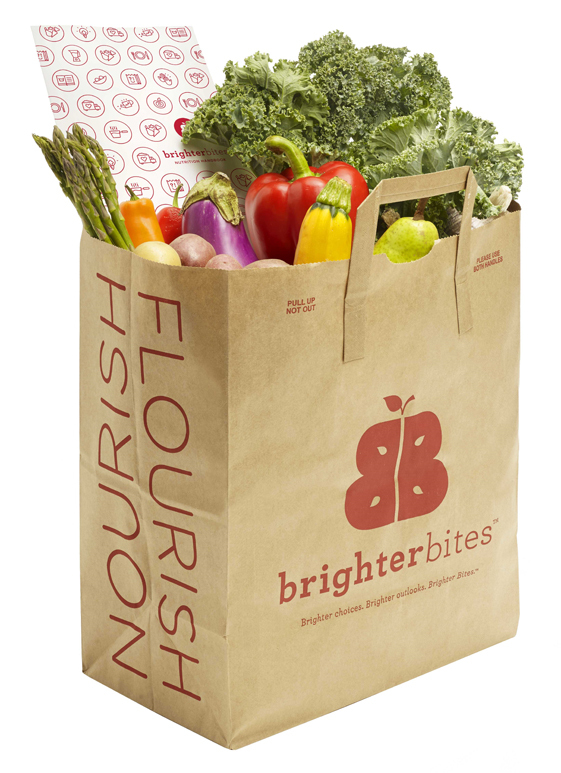 During weekly produce pickups, Brighter Bites staff and volunteers create a fun food experience for the whole family, demonstrating colorful recipes and passing out samples that incorporate that week’s fresh produce. As a co-op, we engage the community around us. The vibrant volunteers helping bag and distribute the produce are parents, grandparents, and members of the community. Our mission is to show that what’s inherently good can taste incredibly great when combined with a little creativity, a happy environment, and a few stickers. Hulk Smoothie, anyone? Replicate our three-part formula weekly and widely. The science behind Brighter Bites tells us that it takes the weekly continuity of our formula to really make an impact. So we divide our program into three seasons: sixteen weeks during the school year and eight weeks during the summer. Embedded within our formula is the implicit mitigation of food waste. We increase the recovery of produce from growers, distributors, and food banks, and reduce food waste at the consumer level by teaching families how to use it. Our goal is to link the school and home environments to create a larger community around nutrition, health, and behavior change. This little brown bag is chock full of brighter benefits. Each week, a family leaves with two bags containing approximately 50 servings of fresh produce. Why 50 servings? It’s enough for two servings of fruits and vegetables a day. For a family of four. For one week. When you fill your plate with color, you fill your meals with nutrients. Bags contain a healthy mix of fruits and vegetables that vary with what’s in season. Whether it’s spinach, starfruit, squash, or strawberries, it’s always fresh. Expert educational resources for kids and parents arm families with nutritious know-how, ranging from simple recipes to clever techniques for improving their health. This beautiful bounty, which costs a Brighter Bites family $0, also saves them on average $34.30 at the grocery store each week. Thank you to our partners for making this possible! More than 150,000 bags of brightness are distributed every semester (and counting!). That’s 20-25 pounds of delicious and nutritious, per family, per week. POUNDS OF FRESH PRODUCE DELIVERED SO FAR! Brighter Bites is rooted in the belief that if we give our kids something better to munch on, they will. And the lives they lead will be as vibrant as the foods they crave.